Engineered to make clean up as easy as possible. All of our products can be washed for multiple uses. Fibers are blended to create a continuous web, then a resin binder is applied for applied for added durability and design. 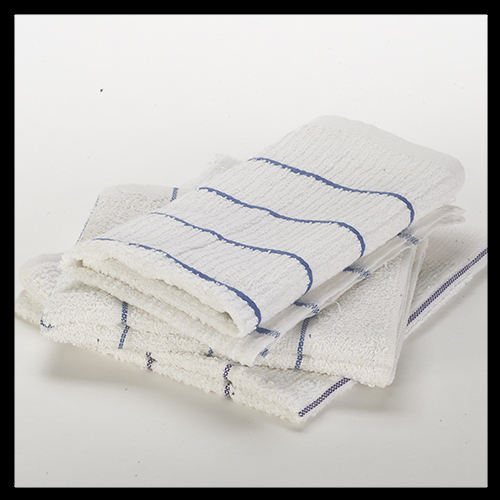 This product is the most common type of food service towel. Various patterns, weights, and sizes are available. Synthetic fibers are weaved in a state of the art process that creates a finished product that is storng, durable, and has a cloth-like softness. This product can be washed 12-15 time without breaking down. Various colors, weights, and sizes are available.